Covers many tools that will help to simplify the complexities of the mobile testing process, saving you time and money. http://www.w3.org/QA/Tools/ These validators include: 1) the HTML Validator, to check the markup of webpages, 2) the Link Checker, to find and report broken links, and 3) the CSS Validator, to check the style sheets and their conformance to the W3C standards. The W3C has standards and best practices in place for mobile webpages, which are in sync with the mobile browser specifications for rendering webpages. To check whether a mobile webpage conforms to the W3C best practices, use the mobileOK checker tool at: http://validator.w3.org/mobile/. The tool not only reports failures for the checks performed, but also reports details, linking back to the W3C recommendation. This can be a good starting point to understand the issue and develop a fix for it. The statistics can be further narrowed down to show statistics from a particular geographic region or time frame. As of February 2015, the two most popular mobile browsers globally are Chrome on Android and Safari on iPhone. The Android browser was recently replaced by Chrome in the Android OS but still has a significant market share, ranking as #3 as shown in the chart. The Google Chrome browser provides mobile web development tools out of the box. The Chrome Dev Tools provide support for understanding, debugging and optimization of the web application and browser components. To open Developer Tools on Chrome, select the hamburger menu ￼ on the right and then select the More tools > Developer Tools menu option. When “device mode” is enabled, the browser viewport transforms to a device emulator, where the user is allowed to select from a set of devices with specific screen resolutions. Users can switch between different devices and see how the application would appear and behave in those browsers. One of the most important things to test while using this view is to inspect the application in portrait and landscape mode. Clicking on the “Swap Dimensions” button can toggle this setting. A mobile web app might not perform equally across different network settings. Being on a slow network can cause connection timeouts or timing issues in the application, making it fail or appear differently. Use the Network option to make the browser throttle the web app by simulating the different network conditions, from GPRS to Wi-Fi. You can also test the offline capabilities of your application through this feature. Media queries were introduced in CSS3 to allow the rendering of the application to be adaptive to different screen widths. Knowing the boundaries at which these CSS styles change in the application can be very helpful for testing how the webpage looks at these boundary values. You can choose devices that are across each boundary or manually slide the handlebar at the end of the mobile viewport to inspect the responsiveness of the app as the resolution changes. Queries targeting a maximum width are represented in blue, those with a range are shown in green, and those targeting a minimum width are represented in orange. If your webpage is interactive, and allows users to use touch gestures, you can select the “Emulate touch screen” option under the Sensors pane of the Emulation settings to enable this feature. You can perform the touch gestures by using a multi-touch track pad or your computer touch screen. For testing map components or other features that rely on the phone’s location, you can emulate the geolocation coordinates by providing the latitude and longitude of the target location. The test coordinates can be found from a mapping application, like Google Maps. These are entered as numbers by using a negative sign for coordinates with degrees South or degrees West. To test applications that make use of the phone’s accelerometer (such as games), you can enable the “Accelerometer” setting under the Sensors pane. This binds a 3D model of the phone, which is displayed in the emulated accelerometer settings to the right. Turning this model controls the virtual orientation and can be used effectively to test such applications. If you have a real device to test your webpage, then it might be challenging to control and inspect the page that is loaded on the mobile browser. To help in this scenario, Chrome Dev Tools provides Remote Debugging capabilities that connect the Desktop Chrome browser to any mobile browser that implements the remote debugging protocol. This setting can be loaded by selecting the hamburger menu ￼ , then More tools > Inspect Devices; or by typing the URL chrome://inspect and then navigating to the Devices pane. You also need to connect your phone to the computer and select the USB debugging option. On an Android phone, this is accessed by going to Settings > Developer Options and selecting the “USB debugging” option. If you can’t find the developer options setting, you will need to enable it on your phone. Once USB debugging is enabled, and the phone is connected to the computer, Chrome will list your device, as well as any pages loaded in the mobile browser of that device. In the Devices pane, you can remotely open a new tab with a URL, or you can interact with already loaded pages. You can click on the “Inspect” option under a webpage listed on the Inspect devices page to load the page into the Chrome Dev Tools. As you interact with the pages in the Dev Tools, you can select to see a screencast of the webpage on the computer by selecting the Screencast option ￼ on the top right. Selenium (also known as WebDriver) is a framework that allows writing automated scripts for web applications. The Selenium project provides libraries for multiple languages, including Java, Ruby, and Python. In this tutorial, we will be using Selenium’s Python bindings specifically to test mobile web apps. If you don’t have pip available on your system, install it by following the directions at https://pip.pypa.io/en/latest/ installing.html. The Selenium library provides functions for performing various actions for testing. These range from actions to select a browser and load the web app in the browser, to actions for interacting with the webpage. We will cover these in the rest of this section. In order to perform actions or assertions on elements on a webpage, you need to obtain a reference to such elements. You can locate webpage elements by using their different HTML properties. The corresponding WebDriver functions are listed in the table below. By default, the above functions return the first element that is found. If you would like to work with later elements identified by your locator, you would need to use the find_elements_ by_<locator> version of the function (which finds multiple elements) and access the later elements in the array returned. There are also several other advanced functionalities, such as operations on HTML select elements or alert dialogs, and on performing drag-drop operations. Information on these can be found in the documentation for the Selenium-Python package. For performing assertions, you can either use the assert directive in Python or write your tests using the unittest package. Place the ChromeDriver binary in suitable path. For this tutorial, I will place ChromeDriver inside /usr/local/bin. 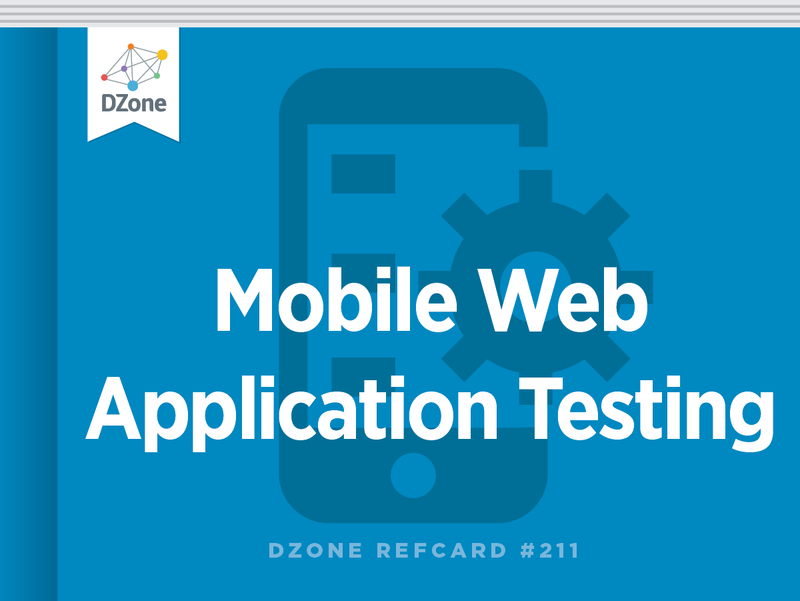 An easy way to run automated mobile web tests is to emulate a mobile browser on a desktop computer, thereby avoiding the need to set up a real device. ChromeDriver provides an experimental option to emulate a supported mobile browser. To switch which mobile browser you are emulating, you can change the deviceName to the name of another device that you would like Chrome to emulate for the test. This test loads up http://www.google.com and searches for “DZone” and checks if its domain www.dzone.com is present in the search results. There is a sleep function added to allow the page to load the search result. When this test runs, either it will fail and display an error message, or it will not report anything. For managing larger sets of tests, and for better test reporting, you might consider using the Python unittest module. By using the unittest module, you will avoid repeating the setup and teardown operations for each test and get a better pass-fail report from running your test case. Some situations cannot be tested on an emulated mobile browser, and the test might need the full functionality of a physical mobile device or the capabilities of a virtual device (e.g. the iPhone Simulator or the Android Emulator). In such scenarios, ChromeDriver can be used for testing Android apps, but it is often easier to use the open-source Appium tool, which makes it possible to run tests on Android, as well as on iOS devices by using ChromeDriver and iOS Auto underneath. Appium can be downloaded and installed using the node package manager. If you don’t have npm available on your command line, install Node.js from its website. By default, Appium shows all messages in its log, which is nice for debugging purposes. You can configure the Appium tool using its command-line options. For using Appium for mobile web testing on a real or virtual mobile device, we will use a Remote WebDriver instead of the ChromeDriver and initialize it with a set of capabilities to describe the environment on which to test. 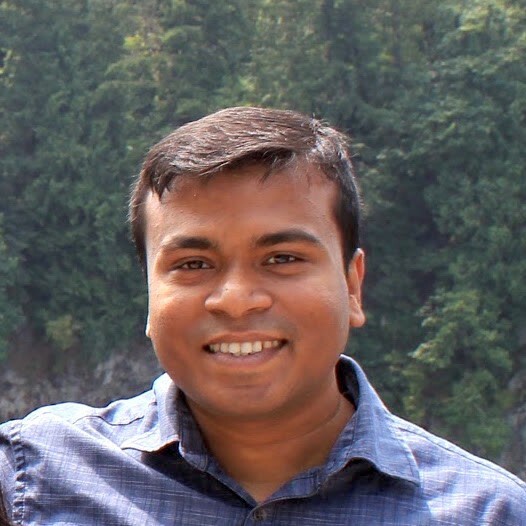 This code essentially replaces the statements inside the setUp function in the previous section to run the same test on a real Android device. Appium chooses a connected real device or a running virtual device on the computer. In the case of iOS, you can change the configuration to the following to target the Safari browser in the iPhone Simulator. Running mobile web tests on a real iPhone is not as straight forward as other cases shown in this document. It requires setting up ios–webkit-debug-proxy, which is used by Appium to communicate with Mobile Safari. More information on this can be found in the Appium documentation.